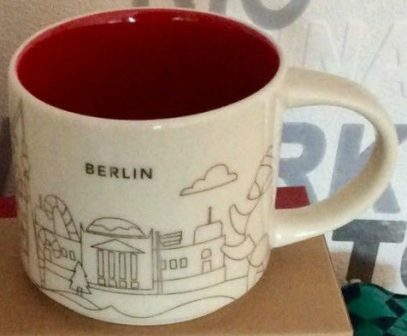 Alright, so there were definitely rumors circulating and even a controversial press-release photo of the new You Are Here Christmas Berlin mug which was blue inside! I didn’t want to add that to the site, since I needed a real picture, which we now have. Just a reminder, this is the fourth Christmas YAH with second version this year (previously confirmed Paris, Moscow and London). Waiting for Prague!